» Is Singam 3 Based on Real Life Incidents? Suriya‘s most awaited movie, the action entertainer Singam 3 is the sequel to Singam 2. This action series is directed Hari and produced by K.E. Gnanavel Raja Dhaval and Jayantilal Gada under Studio Green Pen Movies and Aadnah Arts banners. This third part of the Singam series features Suriya, Anushka Shetty and Shruti Haasan. Harris Jayaraj is composing the music for the film. According to a few Tamil sources, the story of Singam 3 is based on real life incidents which took place in Andhra Pradesh in the 1980s while N.T. Rama Rao was in rule. Apparently, the movie was majorly shot in Vizag and Nellore. The latest one which has come out is very interesting, though. Reports from Chennai reveal that the film is based on a real life incident which happened in Andhra Pradesh during the time of late Shri N T Rama Rao who was the chief minister then. During one of the important chaotic situations, reports suggest that Chennai police were called upon by the government to handle one particular case and the film is based on this particular incident. Suriya is essaying the role of a cop. Little do we know about Anushka Shetty’s role, but Shruti Haasan is said to play a role of a journalist. Singam 3 is being made with a whopping budget of 75 crore rupees (Approx.) 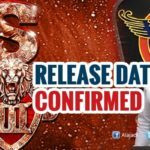 The Kerala theatrical rights of Singam 3 were purchased by a group of fans belonging to All Kerala Singam Suriya Fans and Welfare Association. This shows how big Suriya’s fan following is. Singam 3 is likely to release on 23rd of December 2016. May Singam 3 be as successful as its previous ventures.